Nas nossas experiências diárias, há inumeráveis situações que revelam a existência da Divindade em todas as pessoas. Imagine um cinema, em que na tela vemos rios transbordando e engolindo toda a terra das margens. Embora a cena seja uma inundação, a tela não se molha com nem mesmo uma gota d’água. Em outro momento, na mesma tela, vemos vulcões em erupção com chamas de fogo, mas a tela não se queima. A tela que serve de base para todas essas imagens não é afetada por nenhuma delas. Da mesma forma, na vida de um homem, bom ou mal, alegria ou tristeza, nascimento ou morte vêm e vão, mas não afetam o Atma. No cinema da vida, a tela é o Atma, é Shiva, é Shankara, é a Divindade. Quando uma pessoa compreende esse princípio, será capaz de entender, desfrutar e encontrar contentamento na vida! Awareness ~ The Creator, Jennifer Farley. There is an anticipation, a more than gentle stirring of the soul going on in this moment. The building of the energy seems to be taking on a life of its own; growing and building to a crescendo rarely experienced before. Some may react with excitement and others with trepidation. The reaction will be in direct relation to where you are on your path. Regardless of your current space know that, moving forward from here will be easier and more comfortable than it has ever been. Allow it to lift and propel you into your new reality. You have worked hard, dear one, are co-creating your beautiful life and are worthy and deserving of the positive growth taking place now! I envisioned for you a life of love, passion, and joy. Message from the Angels via Ann Albers. This week the Presence came through with a powerful heat. Read it and then close your eyes and feel the love pouring through behind the words. When I created you I envisioned for you a life of love, passion, and joy. I envisioned you being happy. I envisioned your relationships being ones of mutual respect, trust, and upliftment. I envisioned that you would find joyful expression and have all your needs met. Even as I designed universes to work in cooperation with one another I imagined the same for you. Why then, dear embodiments of my Love, do you settle for anything less? I know the answer of course… you have forgotten that you were birthed from my very heart – the heart of love – and you live within me. You have never lost your connection. You cannot be disconnected from me anymore than a wave can be separate from the ocean. I am there for you in every moment to guide you towards that which your heart truly desires. I have created angels within me that purely embody aspects of my love – protection, healing, truth, and so much more – so that you can more easily relate to my love, and hear my guidance. The angels, like you, live within me. They were created to assist you in this expansion. The angels encourage you to dream your dreams, and guide you to take the steps to make them come true.They live to gently steer you away from unpleasant thoughts and beliefs which attract unpleasant realities. They whisper kind thoughts and inspired ideas to you so you can attract that which you truly seek. They love you even when you don’t love yourselves. They are embodiments of my love for you, created to remind you always that you are loved and guided. Dear ones so many of you suffer. In you and through you I feel your suffering, for we exist as one together. I want for you so much more. I want you to express what gives you joy, dance with people who are of like mind with whom you can feel free in spirit, know the abundance of my creation, and feel the aliveness of my love in every cell of your body. I am constantly guiding you towards this reality. I am constantly sending you this love and healing. The stream of goodness that tries to pour through your hearts, minds, bodies, and lives is constant, ceaseless, and eternal… but you can either open to it through your thoughts of goodness, or disallow the experience through your focus on the conditions you do not enjoy. Focus dear ones with all the willpower in your minds, and all the love in your hearts on those realities within you that you wish to experience in your outer world. For it is within you that you can find My love at all times. Do not settle dear ones. Go within your minds and hearts. With willpower and love, focus on what you would love to experience. Feel it. Leave the details up to me, and my angels, and we will guide you up and out of your less-than-loving situations and into an expanded, loving, and passionate existence. Trust. I love you. I am you. Together we are One. Time is passing quicker proving that you are well on the way to Ascension. ~ Mike Quinsey's Higher Self. Time is passing quicker proving that you are well on the way to Ascension. The BIG eclipse meditation is TOMORROW. 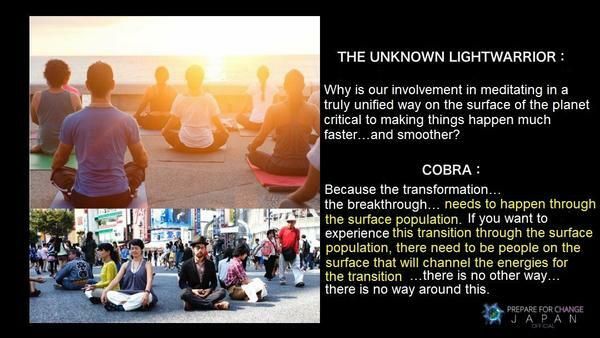 Raise your Vibration with Cobra's Healing Rays. Tomorrow (Sunday) is the day of the RETURN OF LIGHT ACTIVATION at the Lunar Eclipse. To help everyone prepare to anchor maximum light at the lunar eclipse, PFC Japan and PFC Taiwan are graciously offering a free healing session where you can connect with ascended masters and star beings through Cobra's 13 ascended master and stellar rays. The healing will take place at 7:00 AM in California...or 10:00 AM in New York or 3:00 PM on Monday in London or 4:00 PM on Monday in Berlin. This is also a very beautiful way to connect with other lightworkers and starseeds around the world....and tune into the amazing unified field created when members of the 144,000 beings of light gather together. We may not speak the languages....but we are quite capable of doing this energy work and meditating with one heart and one mind! And make sure to leave your cell phone behind! You will be absolutely amazed to discover the higher level communication thatbecomes possible between you and the positive beings of light who are here to help liberate this planet when you disconnect from the grid. The "grid" is anchored within the electrical grid....which the cell phone grid is an amplified part of....so the further you can get away....the better you will be able to receive these higher level messages. 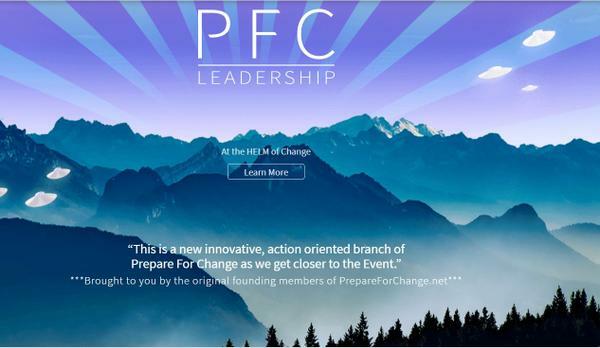 The new innovative, action based site for Prepare For Change, as we get closer to the Event! Don’t be afraid of who you are becoming. You are more than just a physical body, you are so much grander than that and it is time to see the ‘real’ you and let all aspects of you merge together and become ‘one’. You are learning to use parts of yourselves that previously were hidden or dormant and as you learn where you begin and what happens next is important for your growth. This extended, expanded version of you is like a hologram that has been super imposed upon you, but it has truly always been there, it is just you are now learning how to use to it to help you to navigate, tap into your inner wisdom, and learn the power of you as you expand your light. 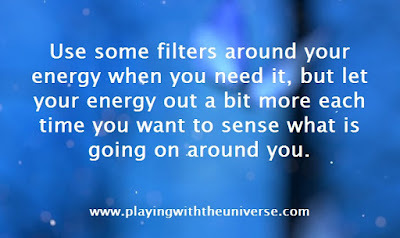 Thought for today: Use some filters around your energy when you need it, but let your energy out a bit more each time you want to sense what is going on around you. 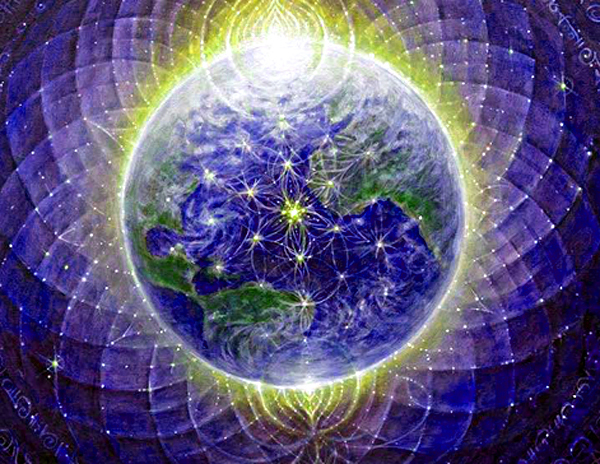 The Incoming Shift… ~ The Creator, Jennifer Farley. There may be times when you lose your way and, in the process, lose a little of your light. Your Earth plane existence may become overwhelming and downright difficult. These are the times when you need to take a deep breath and a step back. Give yourself a moment (or more if needed) to re-calibrate then take that next step. 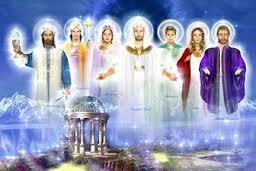 The incoming shift will be providing much needed information for you to move forward safely and comfortably. Remember, when your conscious awareness shifts, so does the outcome. The Cabal Will No Longer Be Tolerated. Victory To The Light Is Inevitable. Posted January 18, 2019 by Edward Morgan. 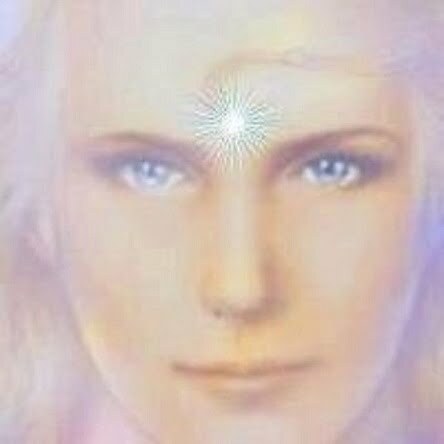 “This is Ashtar Sheran and this message is an update on the war against the darkside on your planet Shan the light forces have your earth surrounded. Many see our ships, we are overtaking dark bases to liberate hostages there and to claim these bases as future spaceports for the light full-disclosure will unveil them to you. The Fiat monetary system is all but bust, the Cabal are being arrested there are many indictments and preparations are being made at Guantanamo Bay to house them until galactic trial. All of the cabal’s leaders are being arrested, the Clintons, the Bush’s, the Obama’s, and more will soon stand trial for high treason and for many more crimes, not the least of which are human trafficking, narcotics rings, murder the list goes on and on. These criminals have had their day, we watch as they sweat attempting to murder more of the prosecution’s witnesses, these people are in our care now no more “suiciding,” will be tolerated. This is crunch time as you call it, this is the epicenter of the battle right now in this moment you are living it. We need you to stay strong the dark knows it’s time is up and is fighting to win back its control over your planet. You did expect that, didn’t you? You did expect that they would use the last of their power to create new campaigns to put you back under the ether? If you didn’t then you don’t understand the importance of their control over YOU. How pivotal those on Earth are to their entire regime, the lies the disinformation the false accusations against the light specifically. They fear us, the Delta forces have come to your planet and are working in the background to help liberate YOU. Any messages of them disrupting your cities are UNTRUE. Their lies there are rumors circulating that there will be no RV that is nonsense the RV has already begun the decline of the American dollar is part of that. We have a sting operation going to ferret out the last of the Cabal members who think to thwart a new quantum financial system that is why the date is being reset over and over and over again. Each time we capture more of these criminals, why do you think there are so many indictments with more increasing as time progresses? We are bringing down their control system right in front of the eyes of the aware, but behind the backs of the unaware it is a delicate operation. Become aware, understand and do not panic when you see videos posts blogs articles saying the entire operation has been shelved. Do not listen, do not give these liars your energy, do not worry. When you doubt and begin to worry YOU FEED THE DARK. Do not give them your energy. Enough information has been published to explain the process, we are adhering to this process anyone who says that anything has changed at all is lying. It is disinformation. These dark workers are working overtime to sway your thinking, do not let them, the plan is in place it has been for many of your years. It is a plan that works, it will not fail and we will not fail you, but you must believe in a faith. Know also that the dark is attempting to reach you through your own MINDS, Sharon has had many reports of dark attempts to separate light workers from each other, be it in creating doubt in their loyalty to Sharon leaving her group or attempting to create quarreling between them. You must know that Sharon works directly under me she is loyal to the light and has the liberation of humanity on earth in her heart, she is unwavering in her commitment to see this through we ask no less of you. Know that doubt is your enemy, the enemy the dark tries to create within you. That doubt is its voice, all is well. The world will go through growing pains as you change but that is to be expected, you will be weaned off your dependency on money via the new quantum financial system. The plan is to give all on earth enough money to be financially independent, there will be no more suffering and this will allow you to outgrow your need of it. It may seem ironic to you that giving you more will, we knew of your dependency however we know that your lack of money keeps you dependent upon it and in your nefarious financial system, lack creates more lack, greed and suffering. This will end for you and soon, this is the Divine Plan. You are part of the Divine Plan, do not give yourselves over to the dark any longer, the dark is dying, it has lost any last-ditch efforts to keep the illusion alive. Do not support them with your energy, understand that they were attempting to trick you before but the closer we move to final victory, the worse their trickery will become for you. We apologise but it is simply a question of not listening to it stay in your light. Aluna Joy with the Star Elders. I know you can feel it. Something new is brewing in you. Everything is beginning to change. You can feel that your life will never be the same. And it won't. We are beginning to land into our future. We have moved past ethereal awareness and consciousness raising into the new reality being anchored in the physical world ... and it is tangible! The past is moving behind us now. Old energy drains and our personal demons have voiced their last roars. Old karmic contracts have been burned in the purifying fire of new energies. Past, unhealthy creations will no longer be supported by the new frequencies. Belief systems including fear, guilt, shame, regret, doubt, etc... will no longer be supported. As a friend Howard said "Belief System = BS". The past will simply fade away like an old shadow in our memory, or like a dream that you forget when you wake up. Yes... for those reading this, we are the way-showers now, as the out of date, past, miss-created history, and old belief systems lose their tight grip on humanity, and slip away into the cosmic recycle bin. We are being set free. The concept of karma is over. We have finished paying our debts. We will only experience life in instantaneous, real time cause and effect. We are beginning a new life on a much higher wave length, just as we had planned. The global reboot is a success. We have been in a much needed void, rebooting, recalibration cycle since December 22nd, 2012. This void is all but over, and I hear that we will really feel this by the end of January 2019 ... and be fully free by 2020. So get ready, the passion is coming back. Break free from your inertia that we have become lost in. We have passed a huge pivotal point, and the wave we are surfing is going to be a welcomed rush. The void was expected and needed to help our bodies gently adjust to the influx of new energies. I know many of us didn't think it was all that gentle, me included. But looking back at these last few years, I am glad that we had this somewhat frustrating recalibration time, as what is in front of us now might have been too much to physically bear back in 2013. We have grown so much. More outdated layers than we care to remember we have been pealed away from our old self to reveal our bright, new, human space suits. There were many challenges with health, relationship and any outdated creations as our bodies readjusted to new frequencies. We can feel the new cycle energies awakening in sacred sites now. Energy is returning, but at a much higher bandwidth. We could really feel this new energy in England this last July. The sacred sites, stone circles and Michael and Mary ley lines were pumping very strong and new energy. It was hard to maintain balance as we worked there. We had to clear a lot of old emotions that belonged to us, and much more that was part of the collective consciences. In Egypt, this past month, it felt completely unreal. We all kept saying, "I don't feel like we are here". It felt surreal and ethereal, almost like we had landed into another reality altogether. We first thought it was jet lag ... then later we realized that we were being bathed in brand new frequencies, unknown to humanity's consciousness. We had no reference point for these new frequencies. I always say that it always happens in Egypt first. The mother country Egypt gives birth to new frequencies, and then they wash across the matrix of ley lines right into your sacred work across the globe. You can feel the flow returning and new doors opening now. All the work that we have done to break away from the past has worked. You are now setting intentions for the future. Be mindful to what you accept into your energy field. Don't let anything rent space in your soul that is not a good tenant. What you set your intentions on now will set you on a new, and maybe radically different trajectory. Welcome to the beginning. Welcome to your new home. A suggested I AM Decree... but please feel free to make it personal for you. Releasing the past and creating a positive future. I fully except the GIFT of freedom from old karmic contracts. I AM free from feeling responsible for other people's wounds. I AM free from apologizing, defending or justifying my existence. I AM free from past events that drained me of my life force. I AM choosing what is right for me without guilt, shame or regret. I AM no longer feeding past creations with my attention. I AM free from anything that does not support my God-ness. I AM filling my future with self respect, peace, love and kindness. I AM focusing on what will fulfill my soul's purpose. 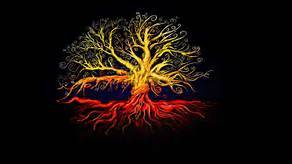 When we move beyond our past wounds, and miss-creations in history, we also heal our ancestral lineages and, ultimately, all of humanity! This is part of your path as a way-shower. *** Please POST, RESPOND or COMMENT on this article on our post on FACEBOOK HERE THANK YOU! This saves me so much time. I simply cannot answer all your emails, but the fact is that I really want to ;) ALSO, your unique, insightful comments benefit everyone else and helps us paint a larger picture of what is evolving on Earth and Humanity. REMEMBER ~ PLEASE LIKE, COMMENT, and SHARE on our Public Facebook page, because Facebook limits the number of people who can see our updates that they have asked to see. If you want to experience more of this type of message, LIKE IT! We do accept donations if you feel abundant... or you can shop everyday on Amazon through our unique link, and we get a little kickback for everything you purchase. Either way you go, it helps keep us going here. The New Age has arrived! Yes, there appears to be increasing chaos and confusion, with some major catastrophes occurring across the world at present, but that is just a sign that life on earth is changing for humanity. 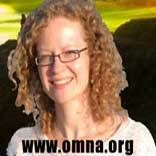 The ongoing changes are enormous,never before, in all of human history, have such major changes happened. This is a First,and it is a VERY GOOD SIGN! Nearly everyone is going through very unsettling emotional and or psychological issues as they make room to fully accept the Love that has been waiting patiently for this moment in order to enter into and completely infuse your hearts. Love can never be defeated, It can only be denied and ignored by people closing their hearts in fear. But doing that changes It not at all, because It is ALL! Love is the life force, the field of consciousness in which all that God has created has its eternal existence. Without Love, which is impossible, there would be nothing. But God is,therefore there is no place, no space, no room for nothing! God, Love, Source IS ALL that exists, and is, therefore, every sentient being, every conscious being ever created. Truly, I cannot stress for you sufficiently, make real in your extremely limited human minds, the fact that fear, and all else that, like it, is not in complete alignment with Love, is but a figment of your unreal human minds. When you awaken, as you inevitably will, and far sooner than you can conceive of, all that is unreal will just fall away as you become fully and utterly aware of the overwhelming JOY that is your divine right, that isGod’s Will for you, and that is your permanent state of existence.